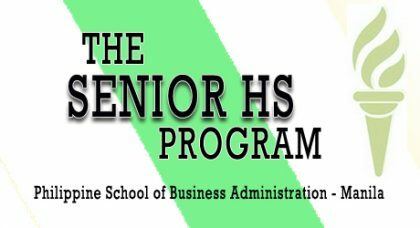 February 04, 2019 – The Senior High School Department is now accepting enrollees and reservations for Grade 11. Early registrants get freebies such as cloth for uniform, backpack and gift certificate. Grade 10 completers whose general average is at least 90 and with no grades lower than 85 get fifty percent (50%) discount on the top-up for the First Semester of School Year 2019-2020.